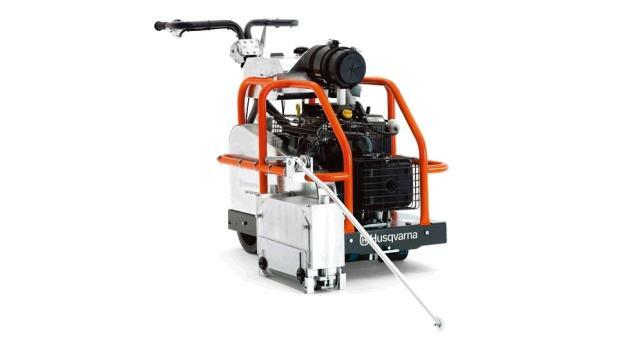 Max Depth of Cut: 1-1/8" - 2-3/4"
Husqvarna Soff-Cut is a unique patented system for early entry concrete sawing. This technology enables concrete to be cut within the first one or two hours of finishing and before final set. Husqvarna Soff-Cut provides the best solution for minimising the risk of random cracking, and it simplifies the working process, compared to conventional sawing. Low-noise and low-dust blade block enclosure. * Please call us for any questions on our saw soff cut self propelled walk behind rentals in Fort Madison IA, serving Southeastern Iowa and Western Illinois.